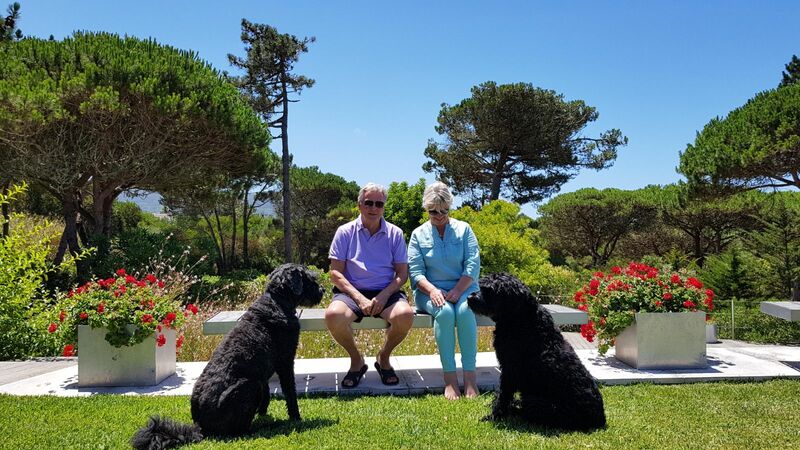 Gail and Brian live with their two Giant Schnauzer dogs Florence and Benson. The four go everywhere together, including 6 months of the year at their home in Portugal. 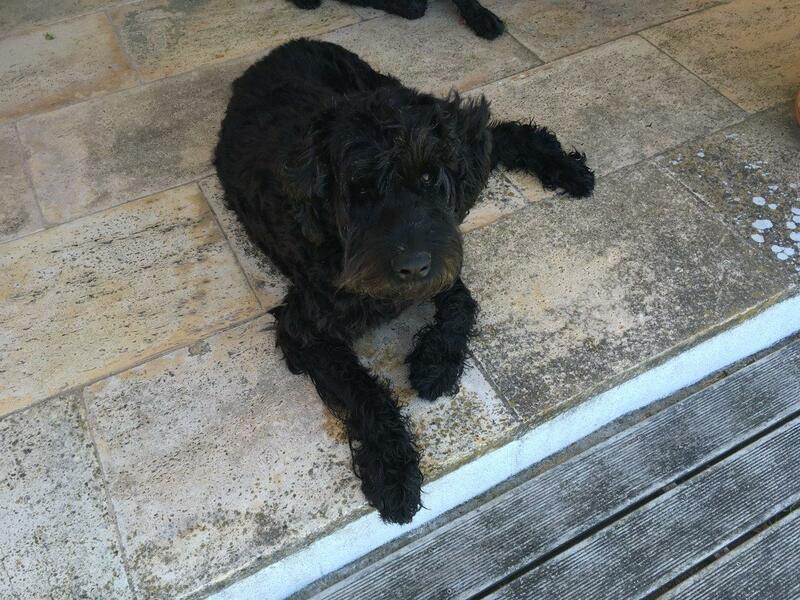 Their dogs are integral members of their family. Florence damaged her knee 5 years ago after which she had an operation, but sadly she never recovered full function afterwards, eventually causing her to become progressively lame and uncomfortable. 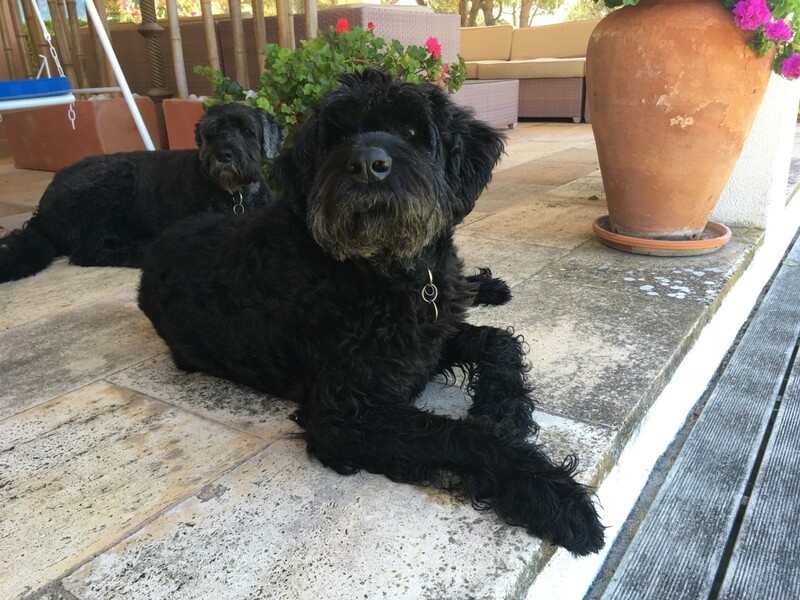 The family initially saw orthopaedic surgeon Sarah Girling who recommended Total Knee Replacement with her colleague Noel Fitzpatrick. Sarah ensured that Florence was kept comfortable with steroid injections and medication until the family could arrange to stay in the UK whilst Florence had her surgery. Fortunately for Florence she was able to have a commercially available Total Knee Replacement, and so the correct size was specially ordered in from America. During surgery, Noel needed to remove the damaged joint and shape the bone surface ready for the new knee. However, Florence had a very uneven wear pattern and significant tibial torsion meaning that her ankle and knee cap were not in alignment, both of which would make this surgery particularly challenging. As a result, the operation took an hour longer than expected because Noel had to modify the bone millimetre by millimetre to try and get the implant into exactly the right alignment so it would glide freely and without pain. Florence remained at the practice for two weeks for Noel to keep a close eye on her progress as the surgery had been more complex than anticipated. When the day came for her to go home with Gail and Brian to continue her recovery they were delighted, it had been an incredibly worrying time for them. The pair had made plans to remain in the UK so that they could ensure Florence’s best interests. 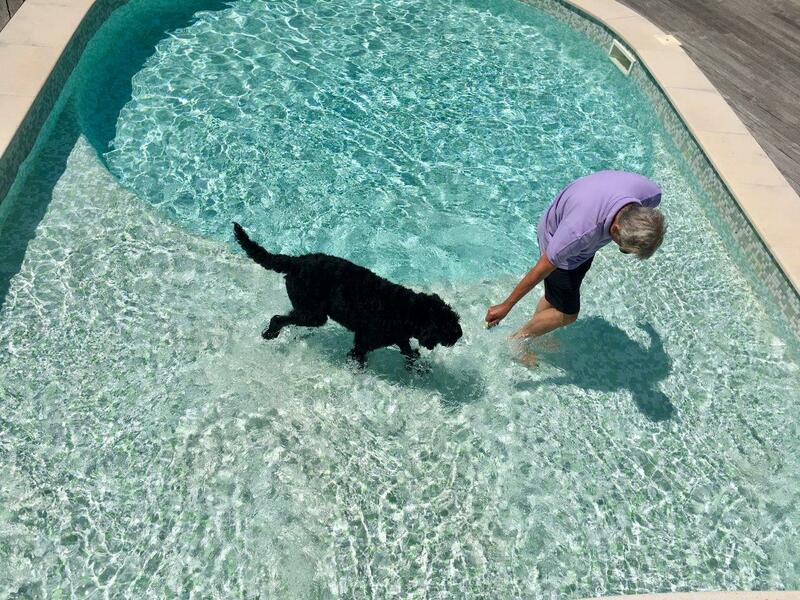 Four months on after her surgery and Florence was back in the Portuguese sunshine with Benson, receiving regular hydrotherapy in the couples own pool. There are no certainties in surgery, and no two operations are the same as no two animals are the same. With patience and great care, Florence is a new dog with a pain-free and mobile knee. Gail and Brian are perfect examples of the dedication and love we see every day in the practice, and it was a real pleasure to help their friend.